This exciting course for beginners is aimed at people who have who have little to no experience in sewing or using a sewing machine. You will be taught the ins and outs of using & caring for a sewing machine. Although you will be part of a group, you will be given individual attention and will work at your own pace. You can start this course at anytime during the year, as registrations are always open. 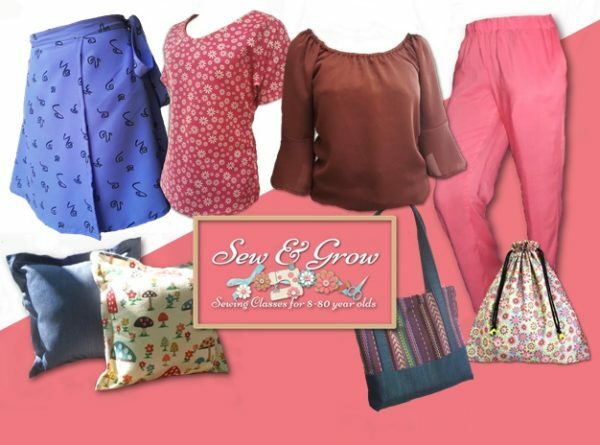 This course gives you a strong foundation in sewing basics, from which you can build a sewing business or acquire the skills to make or alter your own clothes. > Sewing Machines, notions and patterns are available in class. > All classes consist of small groups > Comfortable environment > Fun atmosphere where you will make new friends > Refreshments provided > Fabrics and Scissors of your own choice need to be purchased. We are stockists of Bernina Nina and Bernette sewing machines.